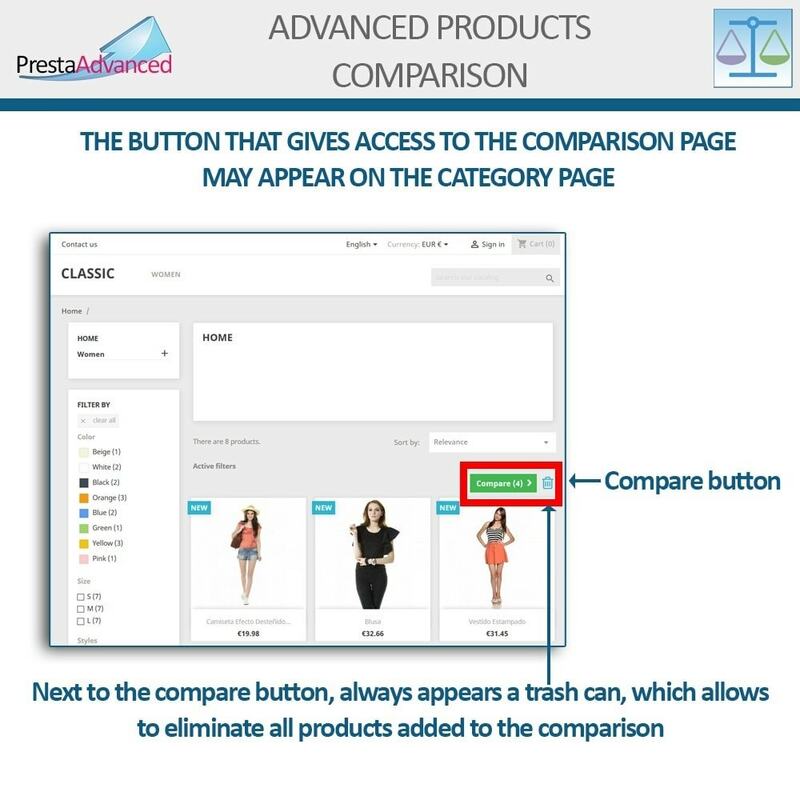 By default, the products are only comparable to those of the same category, and the merchant can define additional categories of comparison. 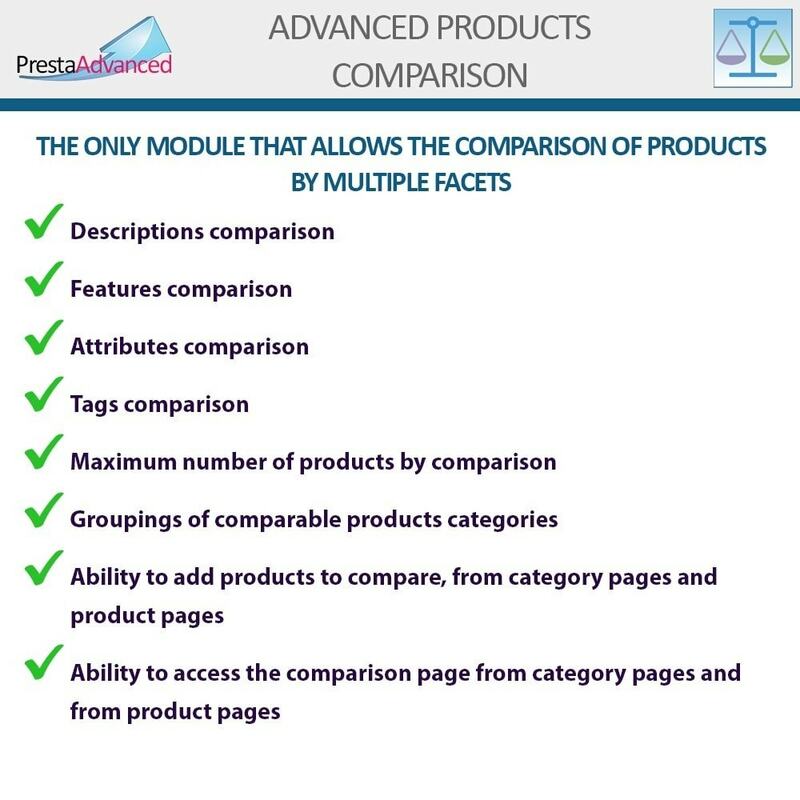 Allows the customization of the titles (headings) of the comparison facets (Features, Attributes and Tags). 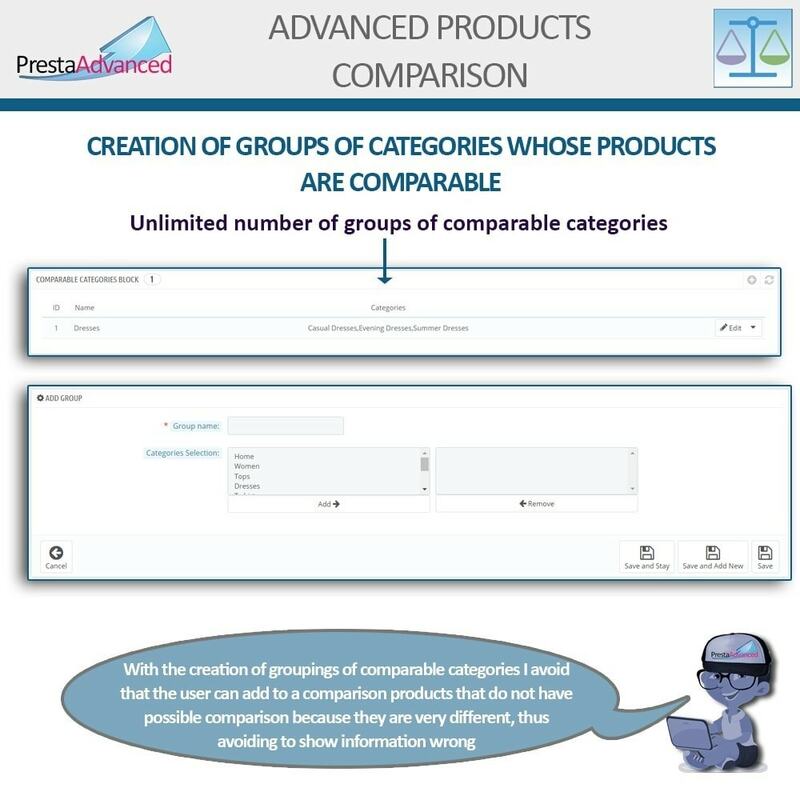 It allows the creation of groupings of comparable categories, thus avoiding the comparison between heterogeneous products. 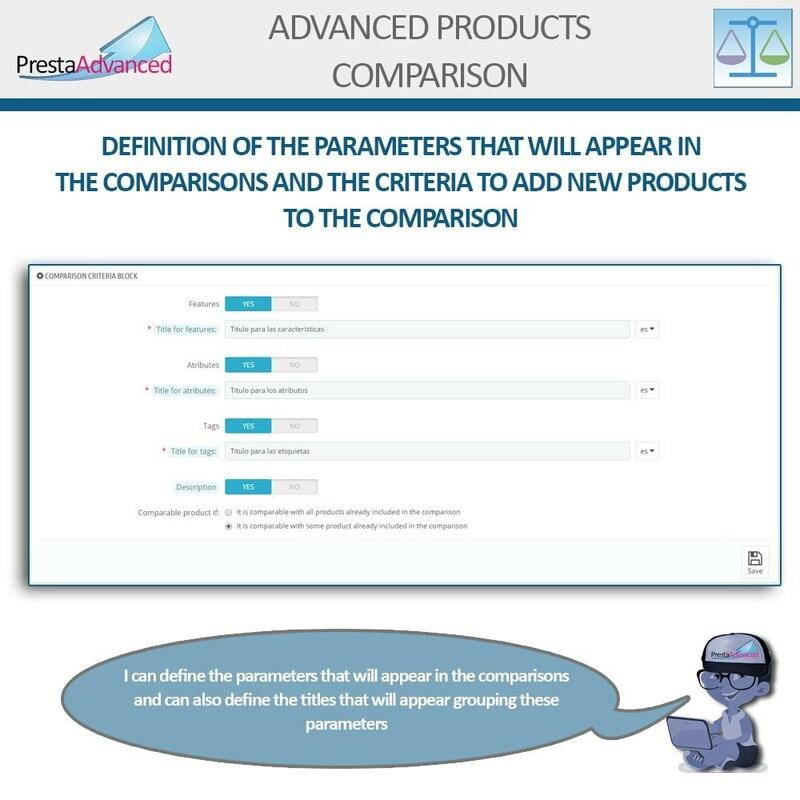 It is comparable with some product already included in the comparison. 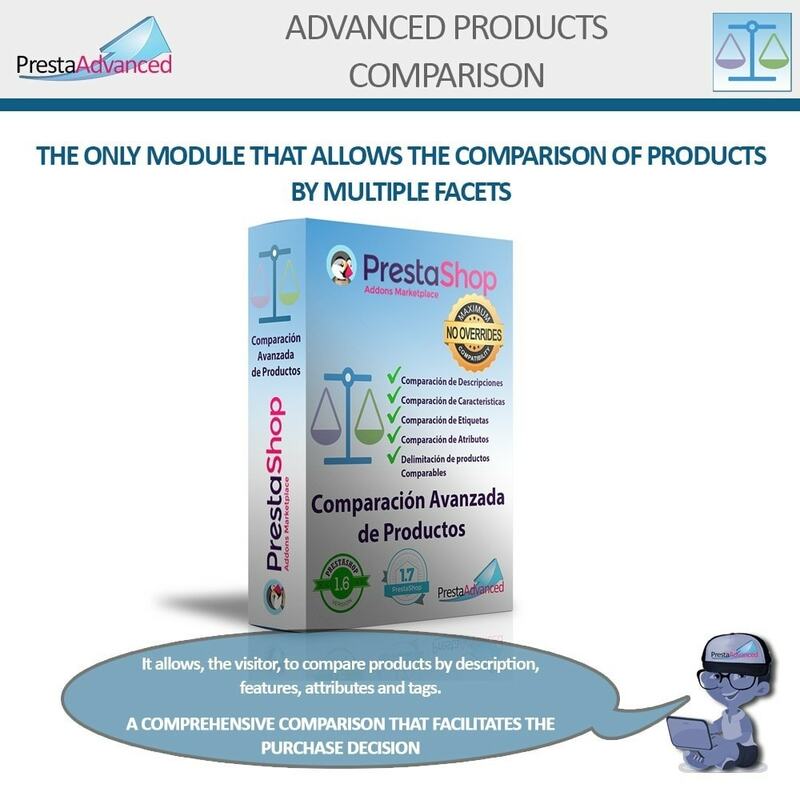 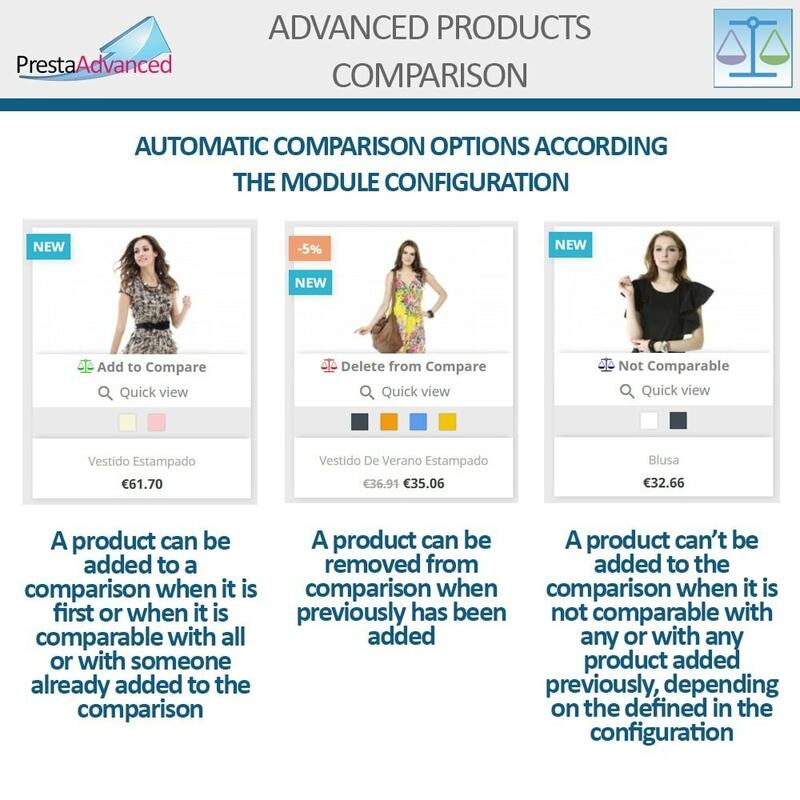 The module allows the buyer to make exhaustive comparisons of products, displaying in a single screen all the features of the products compared. 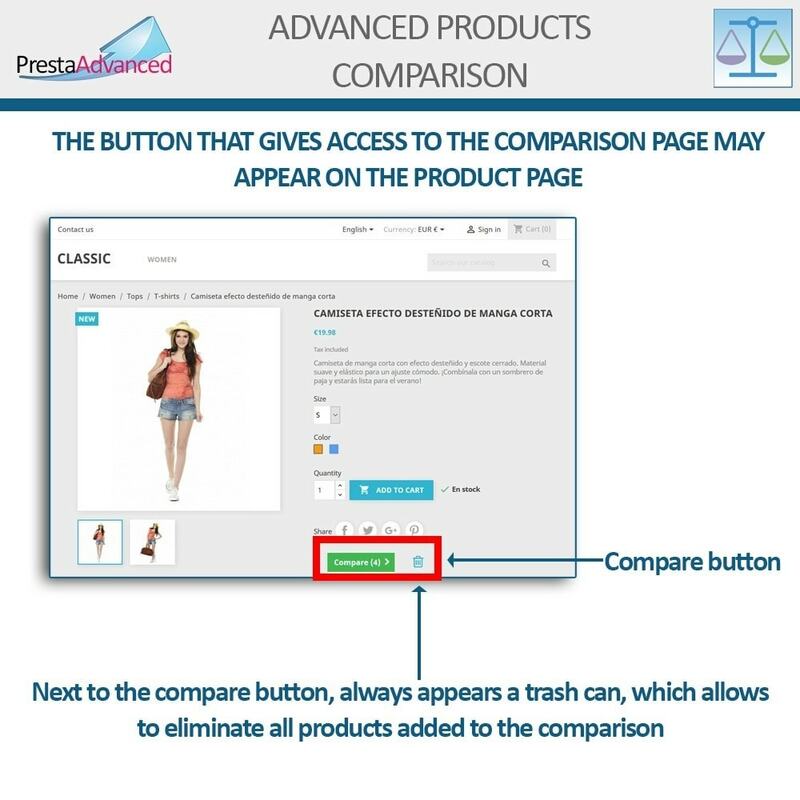 It facilitates the choice of products and the purchase decision. 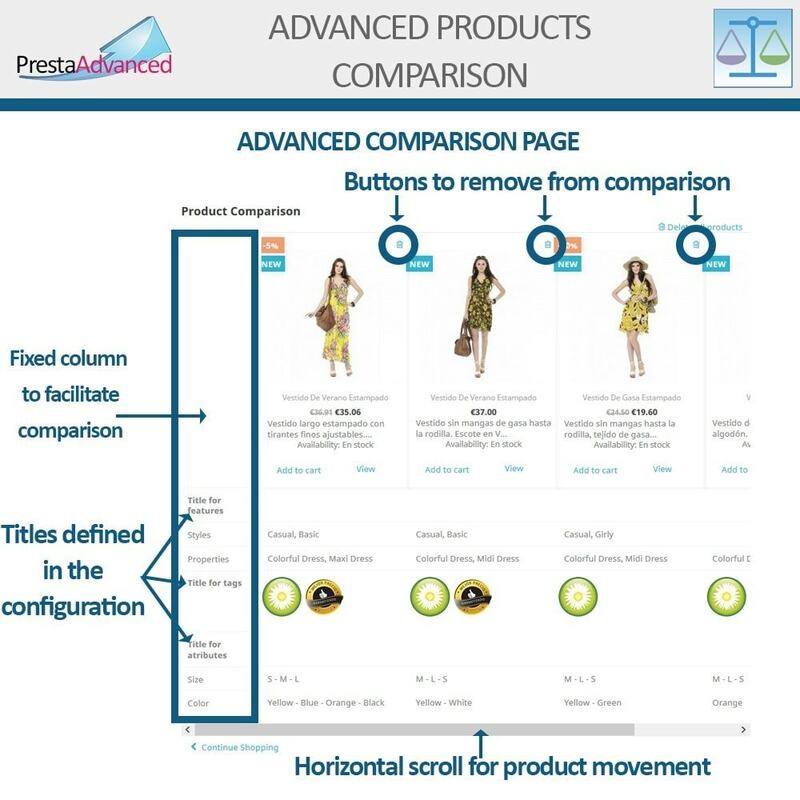 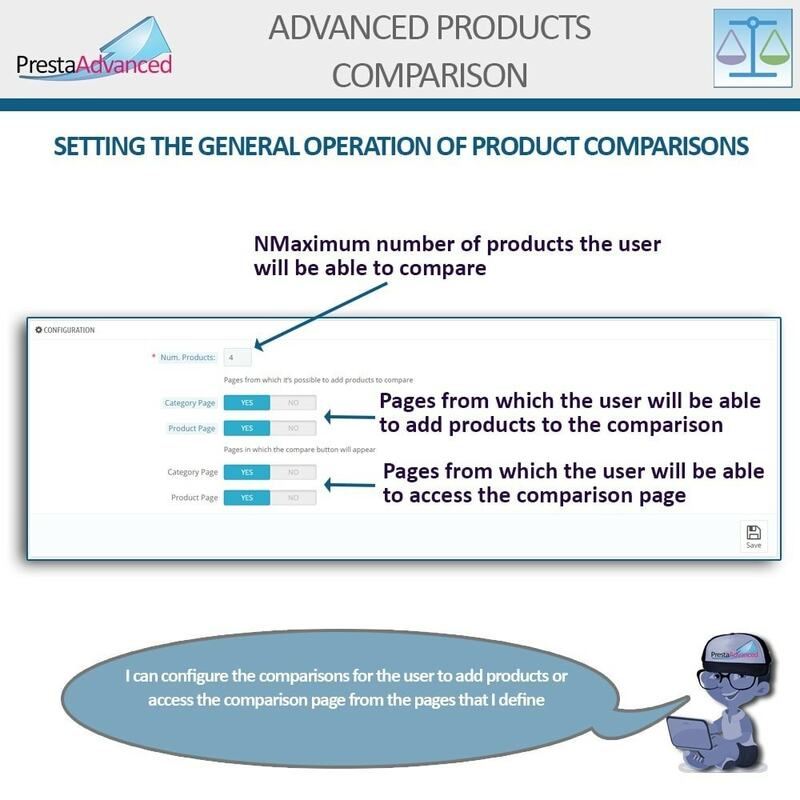 The design of the comparison page with horizontal products slider allows to compare large quantity of products.